Lang, Saturday, Worthy back at practice on Fri. The Packers’ offensive line got some reinforcements at practice on Friday, as G/T T.J. Lang (concussion) and C Jeff Saturday (neck/shoulder) returned to practice, though it appeared during the portion of the workout open to the media that Saturday was very limited. DE Jerel Worthy (hamstring) also returned to practice after missing the workouts on both Wednesday and Thursday this week. RB Alex Green (concussion) remained out, as did TE Tom Crabtree (hamstring), WR Jordy Nelson (hamstring) and DE C.J. Wilson (knee). FB John Kuhn, who missed practice on Thursday but was listed as “not injury related” was also absent again. Mike McCarthy will address the media after practice and provide the final status designations on the injury report for Sunday. 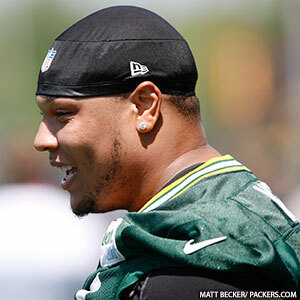 Rookie DL Jerel Worthy, drafted in the second round from Michigan State, said Friday night that when he headed out onto Lambeau Field for the Family Night scrimmage, it was his first time heading down the tunnel to the field. He had intentionally not done so previously so he could savor the moment. Worthy made one notable play in the scrimmage, stuffing RB Du’ane Bennett for a 5-yard loss when he charged across the line of scrimmage unblocked. The play helped the No. 1 defense hold the No. 2 offense to a field goal on what had been a promising drive. 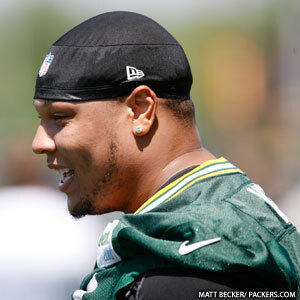 Packers second-round draft pick Jerel Worthy attracted attention and criticism for a comment he made at Michigan State about needing to take plays off once in a while. Worthy took no plays off in Friday morning’s practice. The defensive lineman was the high-energy player of practice, which was forced indoors by rain. Worthy chased after receivers following completions. His voice could be heard celebrating defensive stops and his motor never stopped. Worthy was all over the field and finished a couple of plays on the turf in a tangle of players he created. 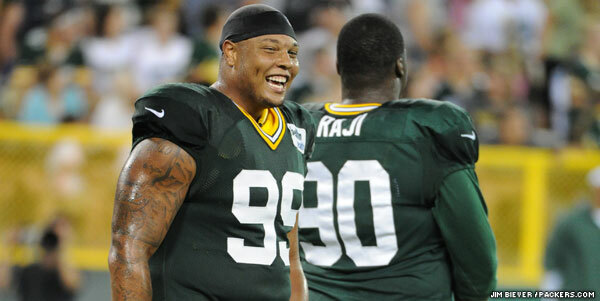 Most notably, it appears Defensive Coordinator Dom Capers might have had his two-down lineman nickel defense in mind when Worthy was selected with the 51st overall pick of the 2012 draft. Worthy and B.J. 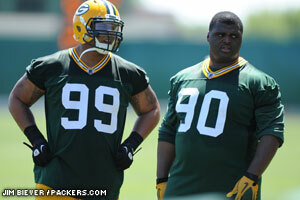 Raji are the two down linemen in the Packers’ nickel defense, and it’s a role Worthy appears to relish. He was a chase tackle at Michigan State and he appears to be reveling in the space he has to operate in Capers’ nickel, which is clearly in Capers’ plans for this season. …It’s becoming obvious the Packers have a creative role in mind for second-year wide receiver Randall Cobb. …Backup quarterback Graham Harrell threw arguably the most impressive completion of the morning, a deep out to Cobb, who caught the ball and turned up field to pull away from rookie safety Jerron McMillian, whose coverage on the play was tight. …Safety M.D. Jennings made an interception off a deflection. …Quarterback Aaron Rodgers’ signature pass might be the back-shoulder throw, and he tossed a beauty of one to Jordy Nelson along the right sideline. Unfortunately, Nelson dropped the pass. …Undrafted free agent linebacker Dezman Moses appears to be competing for more than a roster spot. He appears to be competing for playing time. …First-year safety Anthony Levine broke impressively on a pass along the sideline and nearly made an interception.